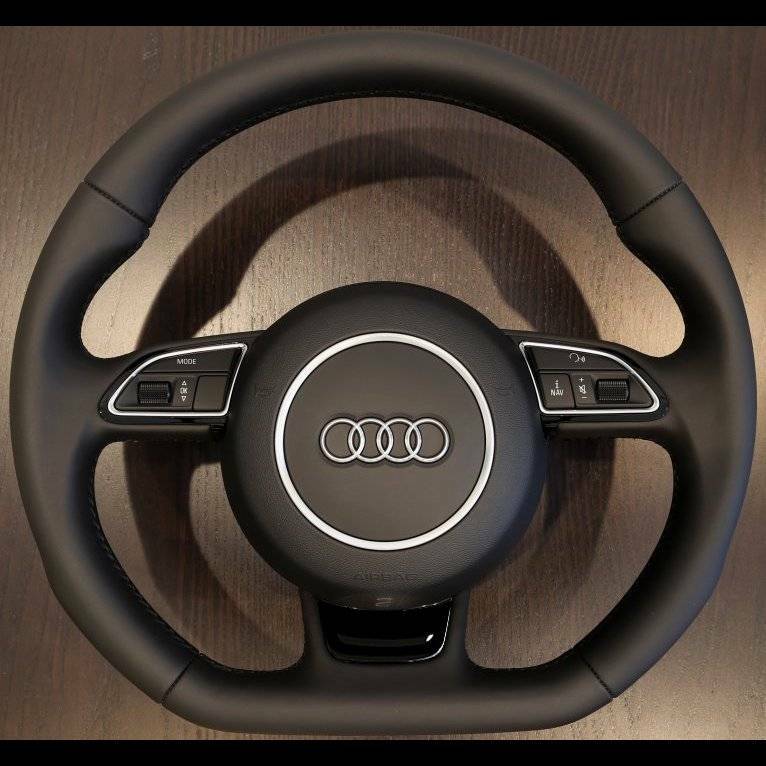 A thicker and more contoured flat-bottom steering wheel wrapped fully in smooth black, moor brown or steel grey leather with single color matched stitching. Also available with black leather and white or red stitching. 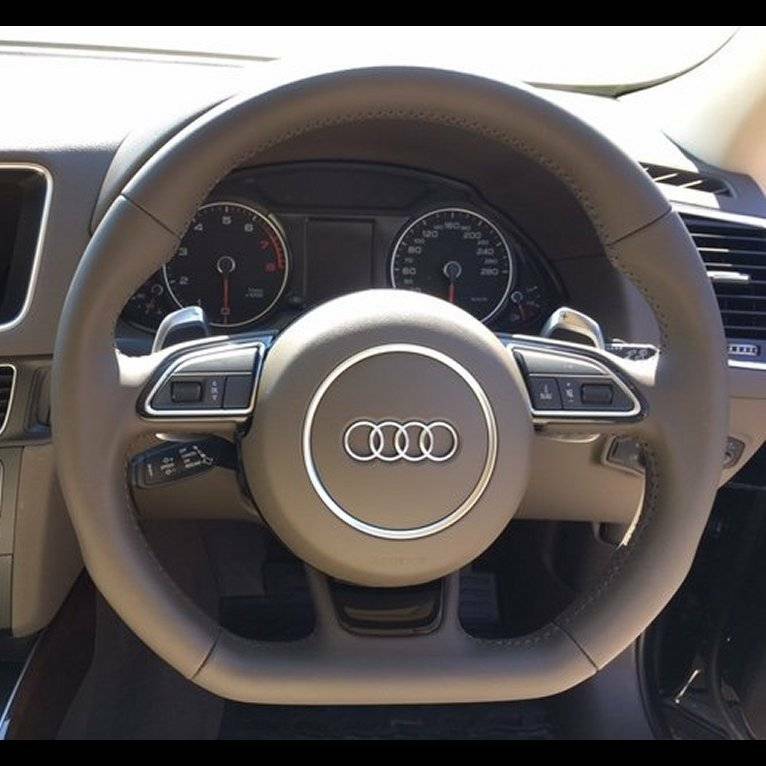 The steering wheel has a fully smooth piano black lower portion without badging. Badging can be added, though this requires a center trim change, please inquire for details.